Marta de Franciscis is counsel in Brown Rudnick’s Restructuring & Finance Department, practicing from the firm’s Paris office. Marta focuses her practice on assisting clients engaged in cross-border deals and restructurings, including advising companies in industrial restructuring and leveraged buyouts. Marta has extensive experience in structuring and negotiating private equity, venture capital, and joint venture deals. 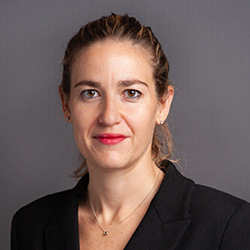 Prior to joining Brown Rudnick, Marta was a Senior Associate at another international law firm in Paris. Marta received her LLM from NYU, and holds degrees in English & American Business Law and International Business Law from the Sorbonne.